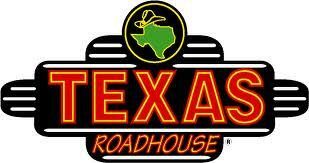 Texas Roadhouse opened up one of its chains in Orem, UT on November 15. I will admit I was pretty excited. When Roni and I were driving out to North Carolina for the summer, we stopped in Louisville. While there, we had the chance to go to a Texas Roadhouse, and found that it was quite good. Because of our the arrival of a Texas Roadhouse in Orem, we decided to place an order for pick up in order to review the food and fixins at this new hot spot. Remember when I reviewed Carrabba’s and I praised them for their online ordering system? Sadly, Texas Roadhouse does not have a comparable system in place. You just have to call up and place an order and pray to high heaven that they get the order right. It was almost as if tonight’s experience existed solely to highlight how great online ordering is. When Roni tried to place the order, Jr. started fussing, the Bwun started wanting attention, and I was trying to clarify the order with Roni while she was on the phone. Roni got so frustrated trying to place the order that she just had to hang up and try again. All of this could have been avoided with a simple online ordering system. Remember how much I liked the curbside pickup offered at Carrabba’s and Outback? Unfortunately, Texas Roadhouse has not caught onto this concept. I went into the restaurant and was immediately grateful that we decided to pick up our order instead of eating there; the place was packed. It wasn’t immediately apparent where I was supposed to pick up the order, and the first couple people I tried to talk to in the reception area either ignored me or didn’t hear me. Finally a passing waitress saw that I was trying to talk to somebody, and she directed me to the order pick up counter. I brought the food home and we dug in. Roni ordered the combo plate of USDA Choice sirloin and ribs; I ordered the pulled pork and ribs. Can you tell that we like meat? Now, maybe it was just because we were spoiled with superb barbecue in North Carolina, but the pulled pork and ribs did not quite stand up. To be fair, the ribs were flavorful and had a lot of meat on them. However, Roni reported that her ribs were a bit dry. The several pieces of bone in my pulled pork also failed to impress. The star of the show was definitely the sirloin that Roni ordered. She let me have a bite, and it was instantly clear it was belle of the ball. The steak was cooked and seasoned perfectly. It was tender, flavorful, and had just a hint of smokiness to it. The rolls included with the meal were also quite good. Furthermore, I appreciated that the menu offered a definition of rare, medium rare, etc. It seems that what one place calls medium rare, another restaurant will call medium well, so it was nice to have a baseline. The portions were, to use the cliché, Texas-sized. I would be surprised if a person could finish their plate after an appetizer and have room for dessert. If you eat conservatively (i.e. you want less than 1,000 calories out of your dinner) you could easily get two dinners out of one entrée. We enjoyed our dinner, but I’m not sure that we’ll be ordering from them again anytime soon. To be perfectly honest, there are local places with better barbecue and better prices. tl;dr: Barbecue is only decent. Stick to the steak! We had a VERY bad experience when we tried their local restaurant. Glad the steak was tasty.